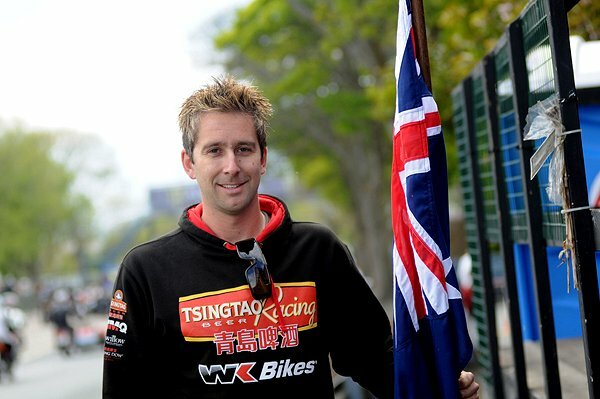 Australian ace David Johnson will make his debut at the Classic TT presented by Bennetts later this year, contesting the Motorsport Merchandise Formula One race for Team York Suzuki/Big Dog Classic Racing. The Adelaide resident will ride an F1 1100cc Suzuki for Kevin Pearson's York-based team and although it will be his first time at the meeting, Johnson is no stranger to the Classic racing scene as he is a regular at January's Phillip Island Classic Festival where he has scored numerous wins and podiums on a wide variety of machines. The 31-year old has excelled around the Mountain Course after making his debut at the TT in 2010 where he won the coveted Newcomers Trophy. Since then, he has gone on to accumulate 9 silver and 6 bronze replicas with three top ten finishes. His best result came in last year's RL360º Superstock Race when he placed a brilliant fourth while tenth in the PokerStars Senior TT Race saw him record a new personal best lap of the 37 and ¾ mile circuit at 129.128mph, to make him the 18th fastest rider ever. A former racer in the 1980's Pearson set up his own team, named Big Dog Classic Racing, with support from the York Suzuki Centre, and has been a staunch supporter of both the Classic TT and the Post Classic races that took place at the Manx Grand Prix between 2010 and 2012. 2014 saw Russ Mountford ride for the team, claimin a brilliant third place in the Motorsport Merchandise Formula One Classic TT race helped by a lap of almost 121mph. "I've been following the progress of the Classic TT the past two years and really wanted to be involved. I've done a lot of Classic racing in my career and I can't wait to get out on the Mountain Circuit for the first time on something other than a modern Superbike. I'm really grateful to Kevin at Team York Suzuki for giving me the chance to ride what is obviously a very fast motorcycle having finished on the podium last time out. Hopefully I can get it back into the winners enclosure in 2015."